While studying Mac security, Vilaca found that it’s possible to tamper with Apple computer’s UEFI (unified extensible firmware interface) code. The security researcher successfully tested his exploit on a MacBook Pro Retina, a MacBook Air and a MacBook Pro 8.2, all running the Apple latest EFI (Extensible Firmware Interface) firmware available. 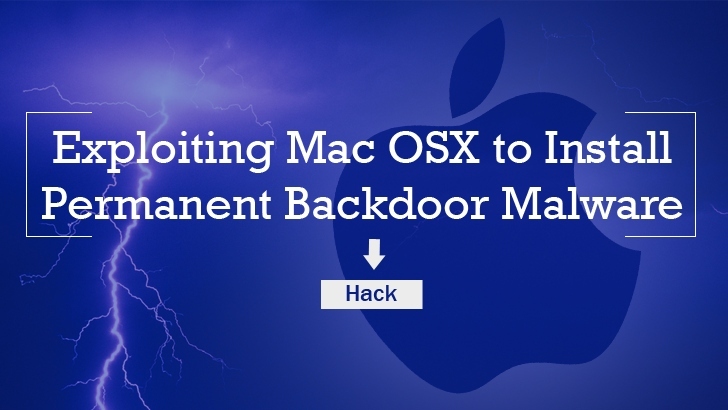 The security hole discovered by Vilaca only appears on Mac computers released before mid-2014, which suggests that the company was already aware of the security bug, and instead of patching, it left all the older machines vulnerable to hackers. It seems that the researcher did not notify Apple before disclosing the vulnerability to the public, causing many technology companies to bristle. Most of the tech companies argue that independent security researchers should report any security issue they discover before going public, so they can stop cyber criminals from taking advantage of those loopholes. However, Vilaca clarified that he has no issue with Apple stating, "My goal is to make OS X better and more secure." Apple has yet to make an official statement on the matter.